Digital and Social Media Communication Strategist & Speaker Michele Price brings you weekly access to the top minds in Business Success Mindset and Digital tools, techniques and strategies. 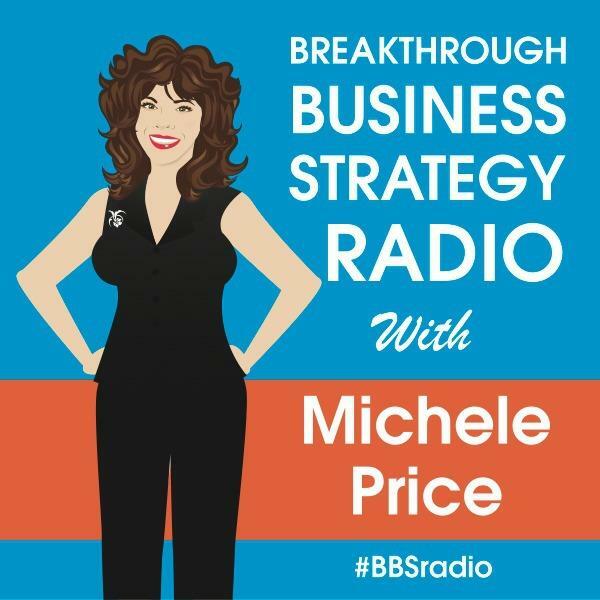 Michele Price, Breakthrough Business Strategies Radio delivers high impact & pioneering knowledge for entrepreneurs, startups, sales/marketing/IT professionals every Monday with Houston's #1 Social Media Strategist, and CMO for TechStreet Houston, Michele Price. Stan Slap, CEO of Slap Company goes deep with us on the dialogue around being human and operating from your values in business. Don & Jeff have the week off! Jeff Shuey, Director of Strategic Alliances at Gimmal, Jeff joins us after our featured guest, discussing enterprize content management. Follow us & ask your questions via twitter using #BBSradio .